Take care of details—precision tip marks with increased control and accuracy. Durable 0.4mm point writes on almost any surface. Pocket clip. Fast drying, fade and water-resistant ink is AP Certified nontoxic. 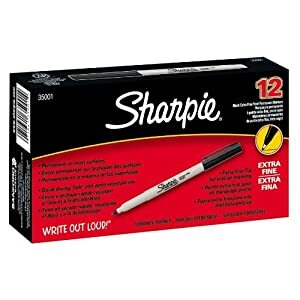 Hurry and Save 54% off Sharpie Extra Fine Permanent Markers, 1 Box.